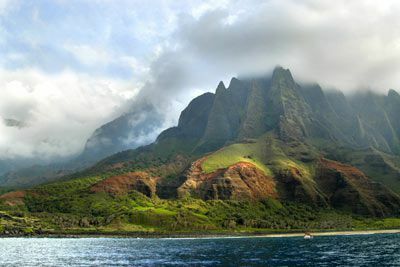 Kauai, Hawaii basks amidst the sparkling blue waters of the Pacific Ocean, about 20 minutes by air from Honolulu. Formed some six million years ago, the island encompasses roughly 550 square miles and is the oldest and northernmost of the main Hawaiian Islands. 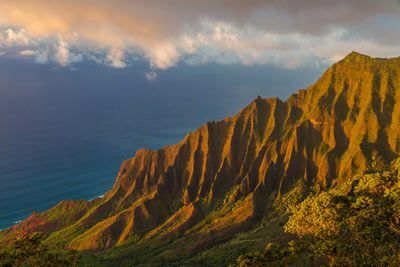 From the soaring cliffs of the Napali Coast to the vast chasms of Waimea Canyon, Kauai embraces the senses like no other destination. Explore the island via land, sea, or air to experience settings you’ve only dreamed about. 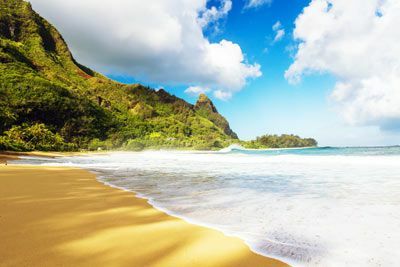 Discover 50 miles of heavenly beaches from Poipu Beach to Hanalei Bay. Explore charming and historic small towns like Hanapepe and Koloa where no building is taller than a coconut tree. The sunny South Shore of Kauai is home to historic Old Koloa Town and the resort area of Poipu. 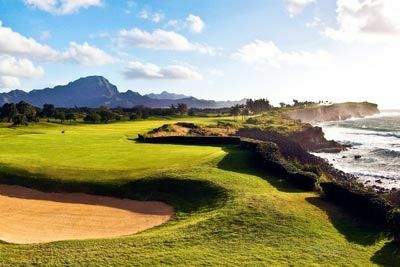 This is an area of activity and historic attractions whether you’re playing on a championship golf course or exploring the Koloa Heritage Trail. 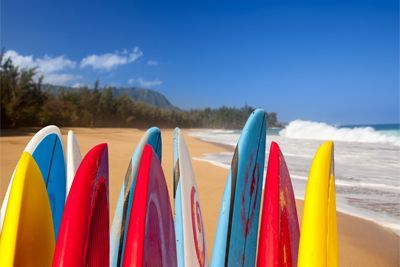 Spend the day at Poipu Beach Park. Nearby Spouting Horn features a blowhole that releases a spout of water up to 20 feet or more into the air. See why Kauai is nicknamed “The Garden Isle” at two National Tropical Botanical Gardens: McBryde Garden, featuring 259-acres of gardens and world’s largest collection of Hawaiian plants, and Allerton Garden, an 80-acre gem with sophisticated garden design and the giant Moreton Figs made famous in the film “Jurassic Park.” You’ll even find the Kauai Coffee farm tour just a few miles west of Poipu. 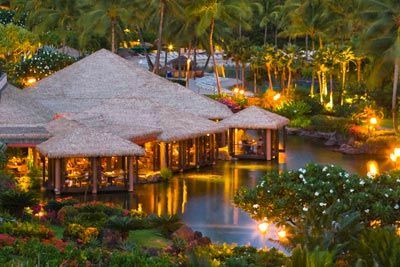 Grand Hyatt Kauai Resort & Spa was honored as the top hotel on Kauai and one of the top 10 in Hawaii in Travel + Leisure’s 2015 World’s Top 500. The poll, taken since 1997, is based on responses from the magazine’s discerning travelers and readers. 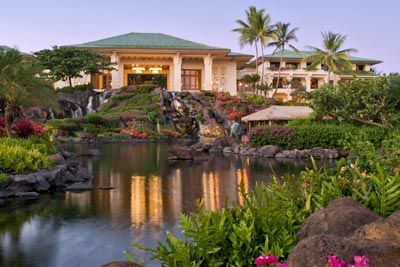 Grand Hyatt Kauai has made the list all 19 years, placing them in the Travel + Leisure Hall of Fame for recognition lasting more than one decade. Asking readers to cast their votes for hotels, destinations and companies that define the very best in travel, hotels are graded based on rooms/facilities, location, service, restaurants/food and value. Grand Hyatt was the only hotel on Kauai to place in the top 10 in the state. Lush gardens and dramatic waterfalls set the mood for an experience that is nothing short of spectacular. 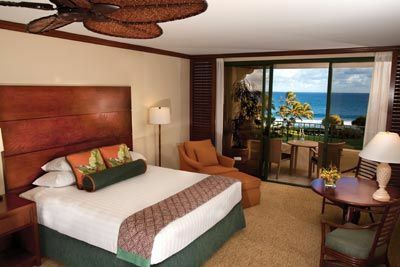 Explore this stunning AAA Four Diamond Kauai resort and create your own personal retreat from the vast array of exceptional amenities available. Kayak in hidden lagoons, indulge in a reviving treatment at Anara Spa, or simply stroll barefoot along crystal white beaches. Enjoy the quintessential aloha experience with our authentic Lu’au, play a memorable round of championship golf, or head out for a land, sea, or air adventure. Ideally set along the picturesque shores of Keoneloa Bay, this dramatic 50-acre Kauai Hawaii hotel and resort offers total seclusion and easy access to everything our Garden Isle has to offer. The resort’s water playground includes an adult pool, a large activity pool, a meandering river pool with waterfalls and hidden caves, 150 foot waterslide, cabanas, three Jacuzzis, and a saltwater lagoon. Kids ages 3-12 can partake in an array of activities at Camp Hyatt Kauai. The resort is located approximately 15 miles from the Lihue Airport (LIH). Due to the short shore break and strong current, the resort advises only advanced surfers to venture further than the shoreline. Warning flags are posted along the beach to help guests determine whether conditions are safe for ocean swimming. $100 February 20, 2020 to March 21, 2020. No refund after March 21, 2020; however, 50% of tuition paid may be applied toward tuition for another NWAS program within the next 12 months. Cancellation must be made in writing.